I have read several times that experiments show that people are more likely to use vulgar, profane, or insulting speech when they speak in a language other than the mother tongue. This finding does not surprise me in the least. I have always been shocked and dismayed by the ease with this educated Africans, including Christians, sprinkle their speech with vulgarities and oaths in English or French. It is obvious to me that such language does not have the emotional import for them that it has for me. I have long suspected that a good part of the reason for the absence of that emotional reaction is due to the fact that English (or French) is not their mother tongue. So the research confirmed years of personal observation. Last year, the New York Times took this issue to a whole new level when it published a fascinating article entitled “Our Moral Tongue“. The article is about moral dilemma known as the trolley problem. 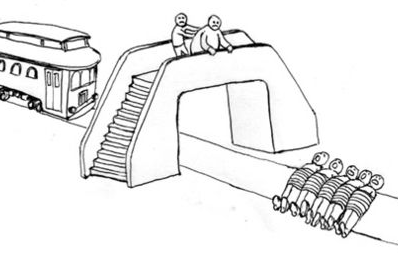 The trolley problem works this way. You present a person with the following scenario and ask him or her what they would do. The person is standing on a footbridge over a trolley track. The trolley is rolling out of control and will pass underneath it in a few seconds. A short distance further on it will kill five innocent people. The only way to stop it is to push a large man onto the track. The person cannot jump onto the tracks himself as he is not big enough to stop the trolley. What would the person do? There is an ongoing debate over which action is the most moral – kill the man to save the five, or let the trolley kill the five. The purpose of this blog post is not to solve that moral dilemma. Whatever choice you would make, everyone agrees on some things. For example, the choice people make should not be related to something ethically insignificant, such as the color of the large man’s shirt, the day of the week, the weather, what you ate for breakfast, or that language you speak. What if your choice was affected by one of those? Researchers tweak the scenario in various ways to test peoples’ sense of right and wrong. One tweak got surprising results. Researchers presented the trolley problem to 1,000 people whose language was Spanish but who were studying English or whose mother tongue was English and they were studying Spanish. A random sample of half of each group was presented the trolley problem in their mother tongue and the other half go the problem in the language they were learning. The surprising result? In their mother tongue, only 18 percent said that they would push the large man, but when presented with the problem in the other language, 44 percent said that they would push him. Researchers concluded that the emotional repugnance associated with pushing a man to his death was stronger when dealing with the issue in the mother tongue, while the learned language had less emotional connection to our sense of morality. 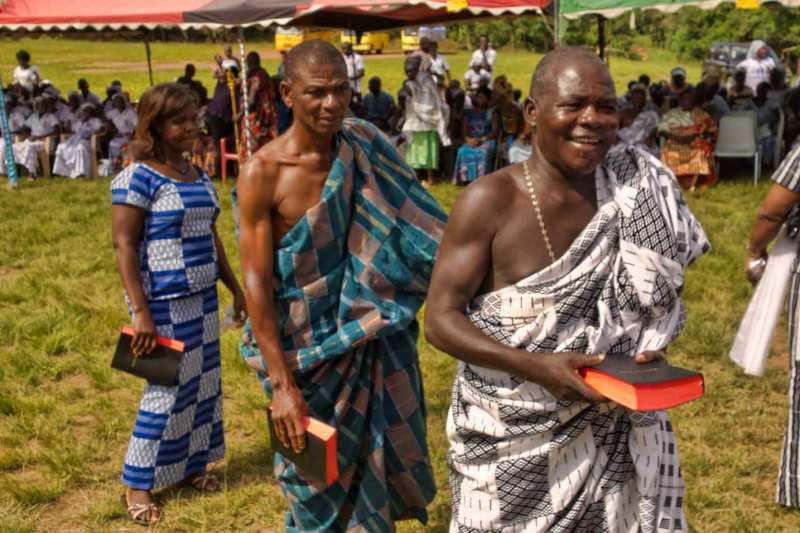 Wycliffe often states that Bible translations are needed in many more of the world’s languages because the people do not fully understand other languages in which there are translations. That is probably true for many people. But might there be a more important reason – we translate the Bible into the mother tongue because that is the moral tongue what connects God and his righteousness most fully to our conscience? Perhaps we translate not just for understanding, but also, and more importantly, for the connection to Jesus through the mother/moral tongue that really allows us to become more like Him. For me, we translate the Bible into people’s mother/moral tongues because we want Christians whose faith connects to their emotional and ethical hearts, so that they can love the Lord with all their hearts, souls and minds. We translate not just because we want the Bible understood, but because we want people to connect to it in a way that produces moral, ethical and other transformation in their lives. It seems that science may be “proving” that our first language, which some call our mother tongue and which we call the heart language, is an issue missionaries and churches cannot ignore if they want faith to go deep. This week I continue observations of the Northern Outreach Program which uses literacy in the heart language to carry out urban evangelism. If you missed the introduction, you can find it here. Many have observed the rapid rate of urbanization in Africa and around the world. There is obviously a need for effective evangelism and mission in the urban environment. Urbanization brings together people from many languages and creates a favorable environment for the emergence of a lingua-franca, a common language which serves them all. 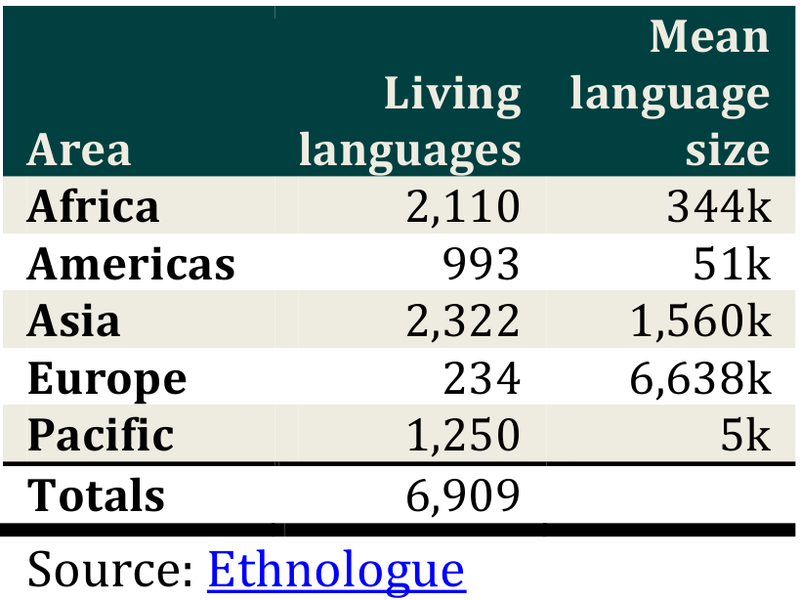 The spread of Twi in Ghana, of Dioula in the southwest of Burkina Faso, of Bambara in Mali, of Hausa in the north of Nigeria, of Lingala in the Congo, of Swahili in east Africa and of other languages in other places, all point to the emergence of lingua-francas as important languages of communication. 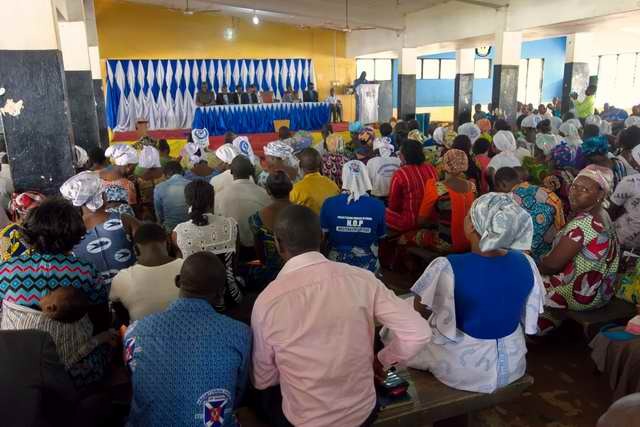 The emergence of a lingua-franca is so obvious that it leads Christians, pastors, church leaders and missionaries to make the untested assumption that the heart language (people’s mother tongue) is irrelevant to the church and evangelism in cities and towns. But the Northern Outreach Program uses literacy and Scriptures in the heart language and that approach has been very successful. 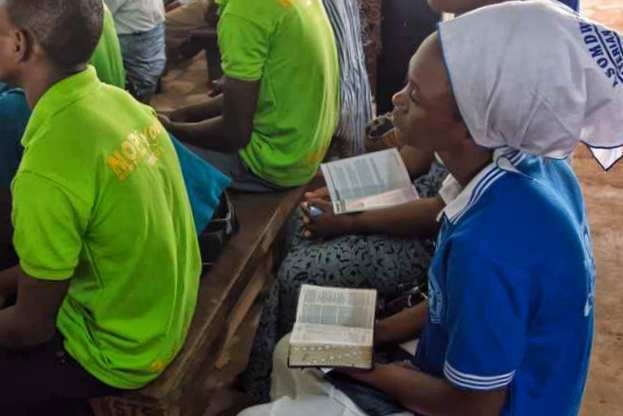 It is important to note that other approaches to evangelizing migrants from the north in Ghana’s cities have failed, or had only very modest success. They have not been successful in stemming the predominant trend of conversion to other religions. The significant difference between the failed approaches using a lingua-franca and the Northern Outreach Program is precisely the heart language, which the Program uses in its literacy program, in its evangelism, in its teaching and in its worship. Many observers fail to notice that the urban environment is not homogenous. It is certainly homogenizing, but it is not yet homogenous. 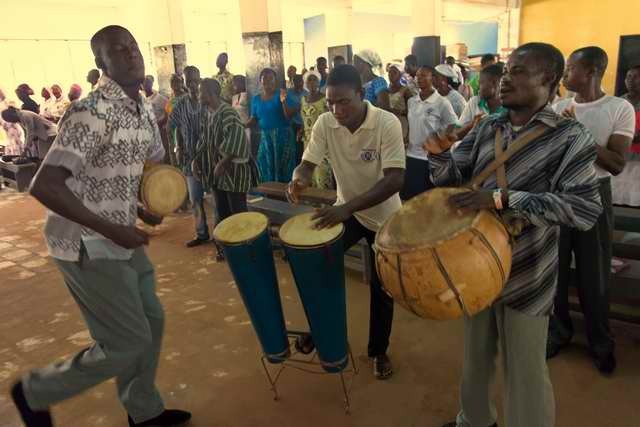 It may be on a course to become homogenous in two or three generations, but today the urban environment in Ghana, and in many other places, is made up of ethnic, religious and linguistic niches which often keep their identity in the face of the homogenizing influences of the urban environment. The success of the Northern Outreach Program, predicated on the heart language, shows that the heart language is an effective tool for reaching those niches. Especially as approaches based on lingua franca, the homogenizing language, have proved much less successful. Today is International Mother Tongue day. That is a good thing for believers to celebrate. Why do I think so? Follow this link for the answer. Today is International Mother Tongue Day which gives focus to minority languages. But we all have a mother tongue even if it is not a minority language. I have heard quite varied interpretations of this story. According to a common interpretation, this is the story of a curse. Those who hold this interpretation also hold the view that the multiplicity of languages is a curse, or at least a hindrance. This interpretation, however, does not square with other parts of Scripture. I’ll come to that in a minute. 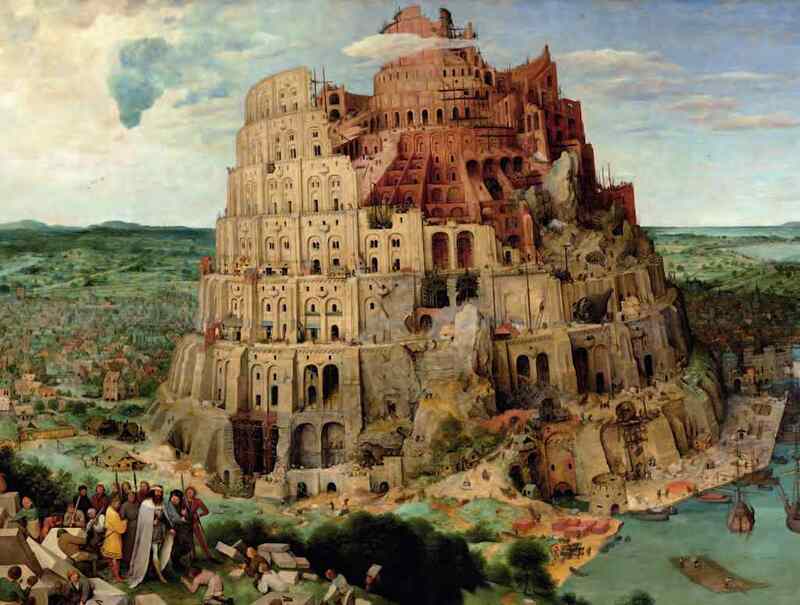 But even if it is true that the multiplicity of languages is a negative thing, that does not make it a curse. God’s actions to correct us are not curses! They are loving attempts to get us back on the right track. So if speaking many languages helps us to follow God, that would be a good thing. He did this so that they would search for Him and find Him. These verses do not mention language, but language is an integral part of the identity of a people. The verses are clear. God divided the human race into ethnic groups (most with their own language), so that they would seek and find him. Making it easier to find God is not a punishment! If God says (through Paul) that the multiplicity of ethnic identities leads to more seeking of God, then we should listen to that carefully and allow that to influence our view of language. Too often, we let our views on language diversity be determined by our politics or our patriotic sentiments, and not by the Scriptures. Because our linguistic and ethnic identities are designed by God to help us seek and find him, we dare not disdain, neglect or ignore them in any sphere but especially not in the ministry of the church or in missions. That there are multiple languages on the earth is not a disorder. It is not an aberration, a problem to be solved, nor a hindrance to human development. It is part of God’s purpose to bring people to know him. Interestingly, people from major languages do not get this. But those from minority languages often do. When their language is written and translated, they feel recognized and elevated. See my blog Counted for one example. The God who was not ashamed to be born to a peasant woman and laid in a manger is not ashamed to speak Kouya, Jamaican patois or even modern-day English. Whatever the reasons others celebrate Mother Tongue day, let’s celebrate the good gift of our mother tongues and our ethnic identities. And let’s use that good gift the way He intended – to seek Him and find Him and to help other seek and find him. PS: I often use the phrase “heart language” instead of “mother tongue” because some take “mother tongue” to refer to a historic or ancestral language which they sometimes no longer speak. The vibrancy of worship in African churches is remarkable. 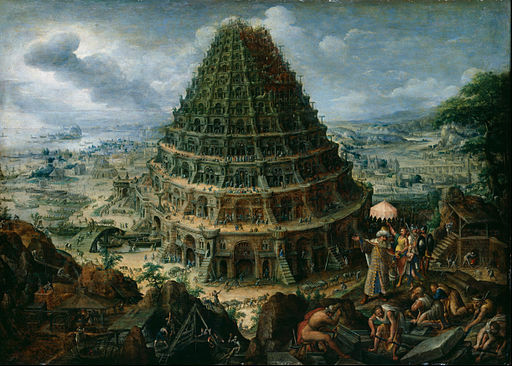 One of the key factors in the vibrancy is language. 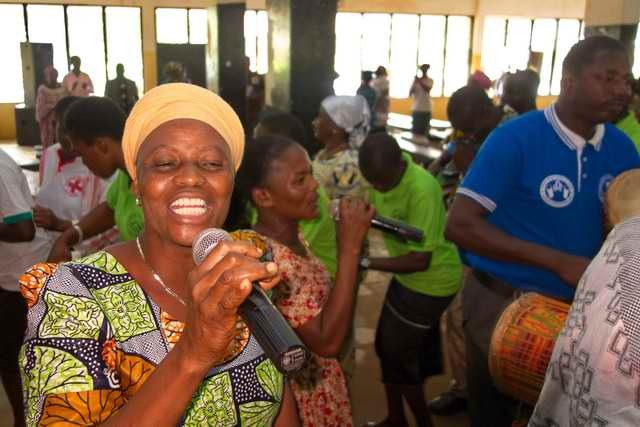 How many times have I been in an African church service which started with staid singing in English or French (depending on the country) and then sprang into joyous outbursts of praise when there was a song in the local language. It is clear which language reaches the whole person. It is not for nothing that it is called the heart language! You don’t take your handkerchief out at church unless you really need to. But many Ghanaians like to worship while twirling a handkerchief, although any piece of cloth will do. It adds a nice twist to their praise.